Chamber, Madras Public Works work together to install banner poles to advertise events. Earlier this summer, the Madras-Jefferson County Chamber of Commerce initiated the installation of banner poles near the north and south Ys. With the assistance of the Madras Public Works Department, the poles were located where U.S Highway 97 and U.S. Highway 26 come together on the north end of town, and in the grassy area adjacent to the "Welcome to Madras" sign at the south intersection. The installation cost about $600, which was funded through the city's Transient Occupancy Tax, generated by visitors staying at hotels and motels within the city limits. "The intent was to have nice looking poles to place banners at the main entrances, to promoting various local nonprofit events held throughout the year," said Joe Krenowicz, executive director of the chamber, who wanted to upgrade the appearance of the entrances beyond the typical T-posts holding up banners, which sometimes end up leaning and or in disarray due to wind and ground placement. 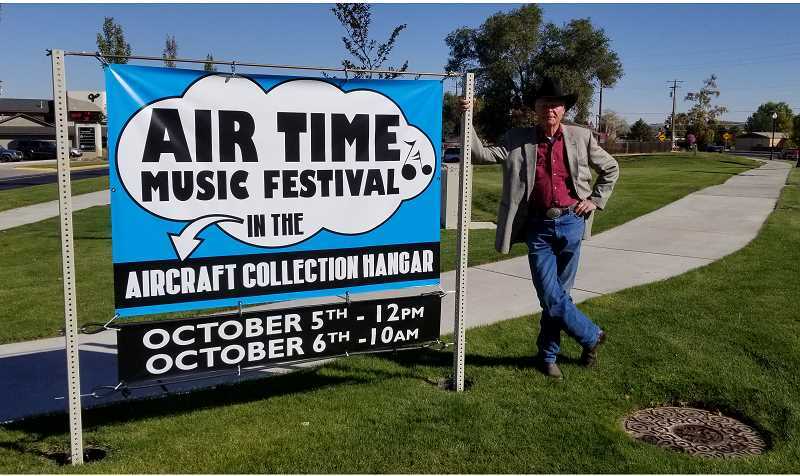 With the new banner standards matching the visual improvements by the city of Madras and the corridor upgrades by Oregon Department of Transportation, local community events can be promoted a week in advance, in a more professional-looking manner. "We have filled the poles almost every week during the main event season and look forward to encouraging nonprofit and community event groups to contact the chamber on criteria for banner placement and schedule," he said. Because Krenowicz is anticipating multiple events with the same timelines, the chamber will be accepting requests on a first-come, first-served schedule sign up for the 2019 calendar schedule. Applications will be available Nov. 1. Events that have multiple dates, such as Madras Saturday Market and Madras Downtown Park and Play, will be accommodated with alternating schedules, as fairly as possible, he noted. The chamber wants to enable community events to be promoted in the most visible and least expensive way throughout the year.